In another 5-4 decision, the Supreme Court ruled against Christian law students at Hastings Law School in Christian Legal Society v. Martinez. 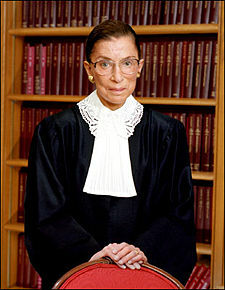 Justice Ginsburg ruled that Christian students must adhere to non-discrimination policies if they are to accept funding or benefits from the school. I previously wrote on the case, which is only the latest example of the growing conflict between non-discrimination laws and the rights of free association and free exercise. Hastings’ requirement that student groups accept allcomers, we are satisfied, “is justified without reference to the content [or viewpoint] of the regulated speech.” Ward, 491 U. S., at 791 (internal quotation marks and emphasis omitted). The Law School’s policy aims at the act of rejecting would-be group members without reference to the reasons motivating that behavior: Hastings’ “desire to redress th[e] perceived harms” of exclusionary membership policies “provides an adequate explanation for its [allcomers condition] over and above mere disagreement with [any student group’s] beliefs or biases.” Wisconsin v. Mitchell, 508 U. S. 476, 488 (1993). CLS’s conduct—not its Christian perspective—is, from Hastings’ vantagepoint, what stands between the group and RSO status. “In the end,” as Hastings observes, “CLS is simply confusing its own viewpoint-based objections to . . . nondiscrimination laws (which it is entitled to have and [to] voice) with viewpoint discrimination.” Brief for Hastings 31. This is a strong preference for non-discrimination policies over associational claims. It is an interesting opinion in light of the recent jury ruling in favor of the Boy Scouts in Philadelphia on blocking their eviction from a public building. laws (which it is entitled to have and [to] voice) with viewpoint discrimination.” Brief for Hastings 31. The case shows the remaining sharp ideological division of the Court in combination with today’s 5-4 gun rights ruling. Ironically, Alito attacks the majority for its failure to protect the constitutionally protected interests of the students, but he refused to expand on the rights of privileges and immunities jurisprudence in the McDonald case. Instead, he declared gun rights as fundamental but refused to address widespread criticism of the Slaughter House cases. Mr. McKenzie, I don’t believe your question could appropriately be addressed to Ms. Kagan since it is essentially political. There is no doubt in my mind that Bush/Cheney policies have contributed mightily to the torture of American prisoners. After all, our government has adopted torture as merely another acceptable tool in the conduct of war. The Obama administration’s ratification of those policies has now made them acceptable to most Americans, a despicable fact. The result is that American soldiers are now subject to a higher risk of torture in future engagements. I understand your point. But if non-Christians are allowed to come into the club take governing positions and run things against how Christians would, then there is no point in having a Christian club. Therefore exclude them all, equally protected. Let them have clubs on campus at their own expense. The funding is the thing.